The ACB Breakout Arrows indicator provides a crucial entry signal in the market by detecting a special breakout pattern. The indicator constantly scans the chart for a settling momentum in one direction and provide the accurate entry signal right before the major move. 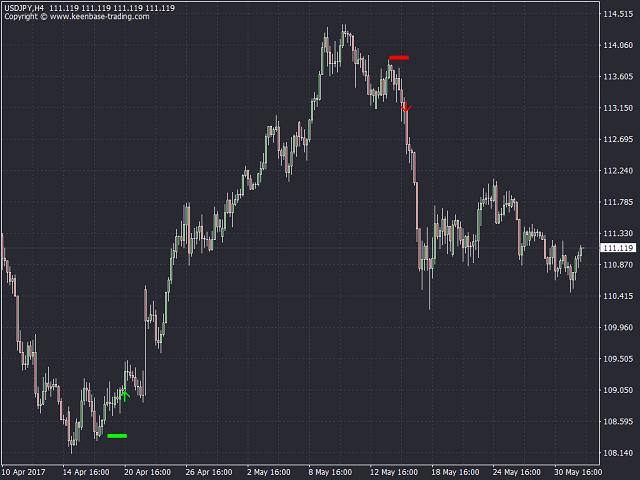 Stoploss and Take Profit levels are provided by the indicator. Optimized algorithm to increase the accuracy of signals. 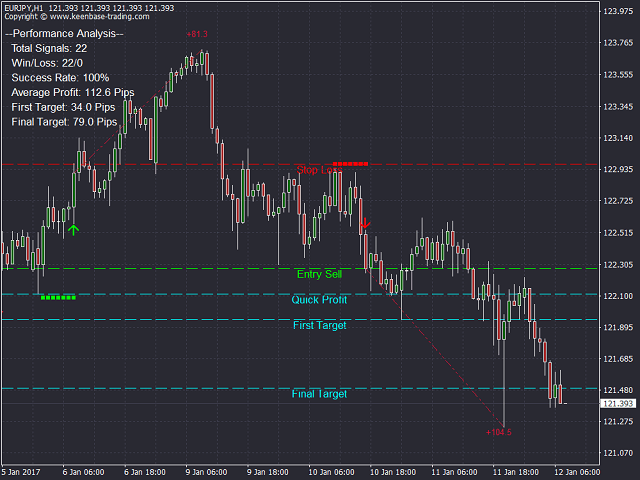 Special level to facilitate the Breakeven move or scalping target(Quick Profit Line). 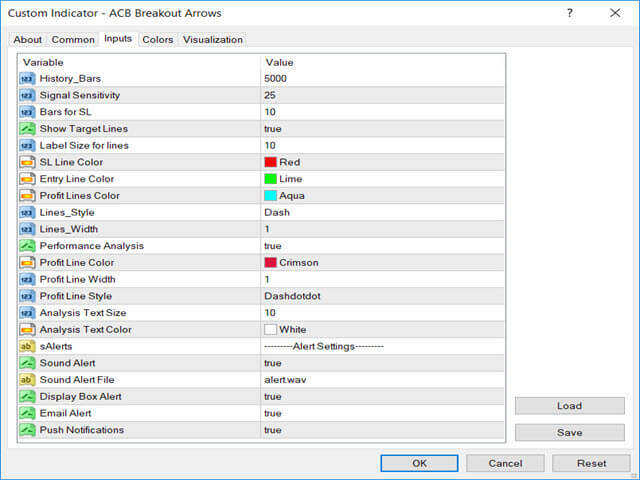 Use "ACB Trade Filter indicator" to filter out the low probability trades. Avoid a trade if the histogram is Gray and Trend is Sideways. History Bars: Number of bars to consider for Indicator's calculation. Signal Sensitivity: Choose the Arrow's Sensitivity (signal strength). Bars for SL: Numbers of bars to consider for Stop loss calculation. 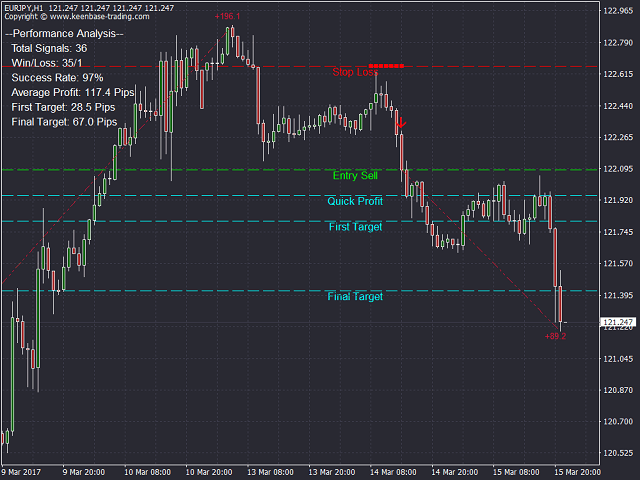 Show Target Lines: Show/hide the SL, TP and Quick profit levels on the chart. 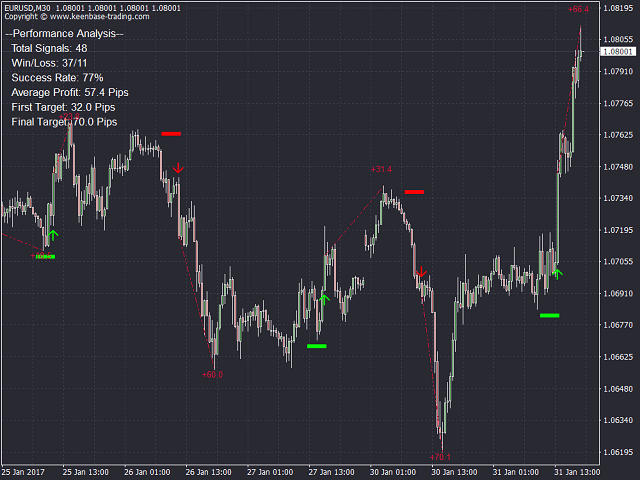 Performance Analysis: Show/hide the performance analysis elements included the profit trend line for each signal. Alert Settings: Display box, Email, Push notifications and Sound alerts are available. - added a more comprehensive performance analysis. - added old-style text information instead of the moveable panel. A panel related bug has been fixed. - Added a statistic panel to show the indicator performance metrics in real time. - Old display information has been removed. - Some other information has been removed which is not beneficial anymore. - Source code optimization for faster execution. - Added pair and timeframe information in email and push alerts. - Improved indicator speed by optimizing the signal algorithm.